Zur Shapira holds the William R. Berkley Professorship of Entrepreneurship and is a Professor of Management at New York University Stern School of Business. He teaches courses in negotiations, managerial decision making, and managing organizations. Professor Shapira is Editor in Chief of Organization Science. Professor Shapira has been with NYU Stern for more than 25 years. His primary areas of research include managerial risk taking, organizational decision-making, and innovation and entrepreneurship. 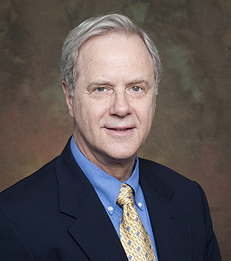 He is the author of several books, including Risk Taking: A Managerial Taking Perspective and his writing has appeared in several publications including Management Science, Organization Science, Organizational Behavior and Human Decision Processes, Psychological Review, The Journal of Applied Psychology and The Journal of Personality and Social Psychology. He is also on the editorial board of the Journal of Behavioral Decision Making, the Journal of Management and Governance, Multivariate Behavioral Research and Organizational Behavior and Human Decision Processes. In addition to his current research position at Stern, Professor Shapira has won several other honors that include being elected as a fellow of the American Psychological Society, a 2000 Summer Residence at the Rockefeller Foundation's Study Center in Bellagio, Italy, and a Visiting Scholar at the Russell Sage Foundation. Professor Shapira's research has been cited in the Wall Street Journal, Inc. Magazine, and Institutional Investor. He has appeared on BBC Worldwide TV, CNBC, NBC's Today Show and on NPR. Prior to joining Stern, Professor Shapira taught at the University of Chicago, the University of California, Berkeley; Carnegie Mellon University; and the Hebrew University of Jerusalem. Professor Shapira received a Bachelor of Science degree in psychology and mathematics at the Hebrew University in Jerusalem. He received his Master of Social Science with honors in psychology and business administration also from the Hebrew University, and his Doctor of Philosophy in psychology and management from the University of Rochester.